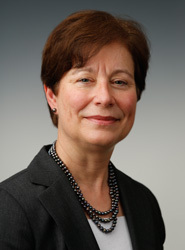 Barbara Fullmer was named Vice President & Chief Counsel for ConocoPhillips Alaska, Inc. in August 2014. Previously she served as Senior Counsel for the Alaska Business Unit in Anchorage, Alaska, providing legal counsel on exploration and production and regulated pipelines matters. Barbara joined Phillips Petroleum Company in February 2001. Prior to joining the company, she was a partner in a local law firm and worked for the State of Alaska Attorney General’s Office and the Department of Natural Resources. Barbara also previously worked as a reservoir/operations engineer for various fields in Alaska and the Lower 48. Barbara graduated from Service High School in Anchorage. She earned a B.Sc.Eng. from the Colorado School of Mines and a J.D. from the University of Denver. She serves on the board of directors for the Armed Services YMCA Alaska.